‘Blue Gum Rise’ was established as a result of a ‘tree-change’ for us – Debra & Andrew Borg – in 2014. The property, located on the Sunraysia Highway between Redbank and Stuart Mill, is approximately 40 acres, and borders the Kara Kara National Park. In 2015, we commenced Redbank Alpacas by acquiring our first four alpacas, and embarked on a very enjoyable learning curve in terms of alpaca management and husbandry. Working closely with these animals, we came to realise that most people’s beliefs and assumptions about these creatures (such as ‘they like to spit at people’) are often misguided or just plain incorrect. Alpacas are intelligent, curious, beautiful animals that have a real affinity for humans. While each animal displays its own personality, they are adaptable and most readily take to halter and lead with a bit of practice. We now have a small herd of 18 animals, with more on the way. It was these factors, along with taking phone-calls and visits from people wanting to see an alpaca, which led us to the idea of holding alpaca experiences and treks at our property. 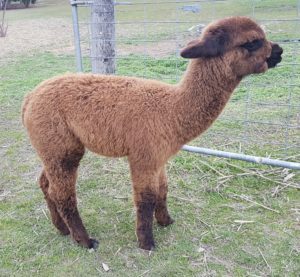 Alpaca experiences allow small groups of visitors to observe, pat and feed an alpaca; learn a bit about the history of alpacas in Australia and the uses of alpaca fleece.